Want some proven strategies for making the most out of Google Optimize? Understanding the power behind a simple tool like Google Optimize, paired with the fact that MonsterInsights only makes things easier, is a great way to see what’s working on your website, and what’s not, so you can continue to grow and improve. In this article, we’ll share some great tips for making the most out of Google Optimize so you can create the best A/B tests possible for your website. You may not know what Google Optimize is, or fully comprehend what it’s used for. But to get the most out of what it provides website owners, even those with no developing skills, it’s crucial to have at least a basic understanding of it. Google Optimize is a free A/B testing and personalization tool brought to you by Google to help you decide what’s working on your website, and what’s not. It’s built right on top of Google Analytics so anything you do with it can be seen easily in your Google Analytics dashboard. Better yet, it pairs perfectly with MonsterInsights, the best Google Analytics plugin around, so you can easily create A/B tests for your website hassle-free. Google Optimize is perfect for small to medium-sized businesses looking to make real changes and grow their businesses, and doesn’t require a ton of know how. 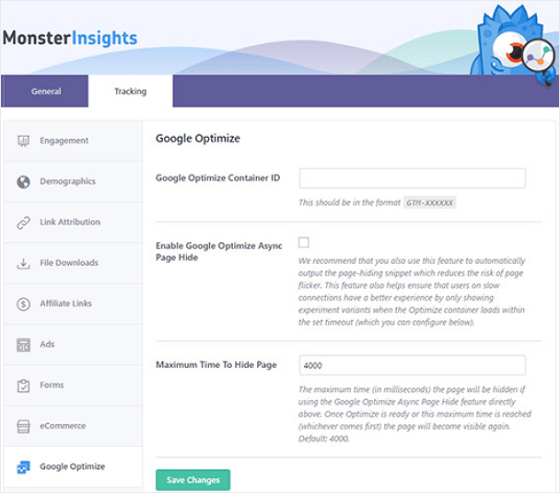 If you want to increase conversions, boost sales, and create better content for loyal followers, you’ll take the time to understand how to set up Google Optimize on your website using the MonsterInsights Google Optimize addon and get started right away. In fact, if you need help, we have a simple step-by-step guide on how to use Google Optimize to run A/B tests for free on your WordPress site for you to check out. Okay, now that you know that Google Optimize is important, let’s jump into how to make it work for you and your business. If you’re going to run A/B tests on your website using Google Optimize, make sure you have enough site traffic coming to the page you want to test. This is the only way you’ll get good results. You don’t want to waste time making changes to a web page that most site visitors, no matter where they come from – direct traffic, organic search results, pay-per-click ads, social media referrals, or even affiliate programs – don’t visit often. The key is to target highly-trafficked web pages that have the potential to bring you lots of conversions. To do this, log into your Google Analytics accounts and go to Behavior » Site Content » All Content. Here, you’ll see a list of all your site’s web pages and helpful data such as the number of pageviews, unique pageviews, average time spent on pages, and even bounce rates. 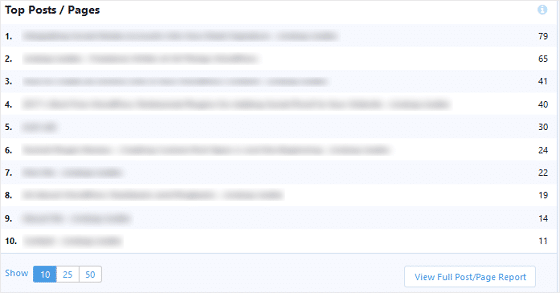 To see which pages have the most traffic, just set a date range and see which one gets the most traffic. 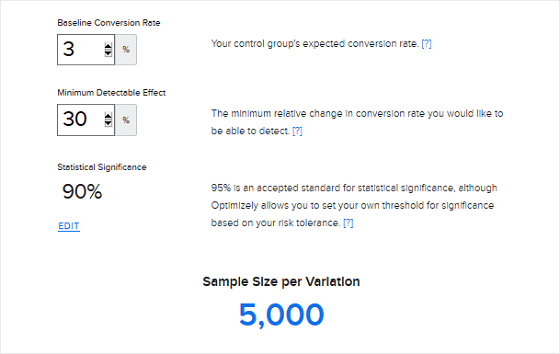 You can also use Optimizely’s sample size calculator to help. Put in your current conversion rate, plus the increase you want to see, and see how many visitors your page needs to see to get reliable results. If you want an even easier way to see the traffic your site is getting, hop on over to your WordPress dashboard, and check out the MonsterInsights Overview Report. If you scroll down, you’ll see a list of your website’s most popular posts and pages. The point of A/B testing using Google Optimize is to make things easier on you and find out ways you can get more conversions. But there’s more to split testing than randomly choosing an element to change and seeing how it affects site visitor behavior. Google themselves recommend never changing the overall meaning of your site’s web page to see what changes happen. In fact, they use the following example: don’t change a web page that focuses on higher education to look like a web page that’s meant for a casino membership site. 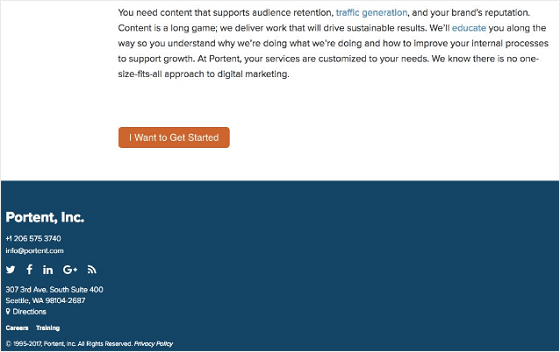 This will confuse site visitors, get you mixed results, and start segmenting your audience in a way that’s not helpful. Not to mention, it’s bad practice to “cloak” one web page as something entirely different in an effort to boost your SEO efforts and get better rankings. It’s best to keep the variants you test similar in nature, but different enough to make a difference in site visitor behavior. For an extensive list of ideas, check out our list of 60 A/B testing ideas you can run today to boost conversions. It is usually suggested that you only test one page element at a time. That way you always know exactly what’s happening on each web page and which version site visitors like the most. However, Google Optimize is great for running a lesser-known A/B test on your website called a multivariate test. 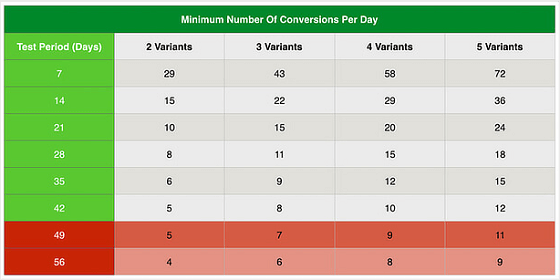 This type of split testing is when you test multiple elements on one page to see which version converts the most. It also shows you exactly how people interact with your website once they land on it. Landing pages have clearly defined calls to action, minimal page elements, and easy-to-measure results. This makes creating the test, and seeing the results, easier to do. Even if you need to change several elements. If you really want to make sure you’re making the most out of your Google Optimize A/B testing, and plan to continue split testing in the future to make improvements, consider setting up some landing page best practices based on test results that you and your team can follow every time you create a new landing page. Lastly, keep in mind that the more elements you test at once, the longer you’ll need to run the Google Optimize test to make sure you get the very best results. You should aim to test between 2 and 4 variants at a time to maintain a good balance. 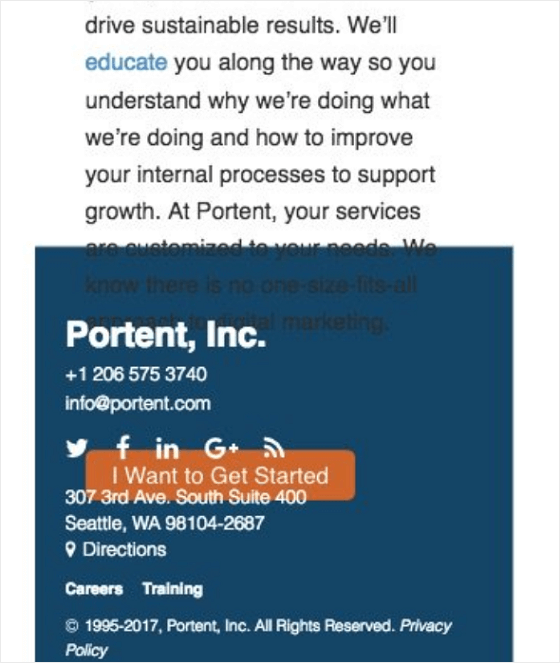 You know that having a mobile-friendly website is a must these days. But for those just starting out with Google Optimize and A/B testing, it can be easier to focus on desktop conversions first. When you start making changes to your site’s web pages, chances are likely that the mobile version is going to get a little messy. If you want to avoid dealing with this at first, just to see how people on desktops react to your changes,and target the test towards desktop users only. Then, if you find positive results from the changes, go back and change the mobile version to match. One of the biggest mistakes you can make while A/B testing is changing things halfway through the test. It’s easy to get excited about incoming results. And it’s tempting to want to implement those changes right away or start testing new ideas that you have. If you don’t get the testing duration right, and start making changes too early, you’ll end up adding variants to your test which skew the results. There’ll be no way to know which elements are having a positive affect on site visitors, which are turning them away, and which are not relevant. Okay, so you’ve successfully run your first A/B test using Google Optimize and Google has announced a clear winner. Congratulations! Once you know what works on your website, and what people are looking for once they land on your site, you can start creating new A/B tests to see if you can make things even better. Just be sure to record your results so you can keep track of changes, results, and site data. And don’t worry if your test doesn’t produce positive results. That’s okay! In fact, AppSumo founder, Noah Kagan, determined that only 1 in 8 A/B tests actually produce significant results. That’s the reason we A/B test, and like doing so with an easy-to-use tool like Google Optimize, that works seamlessly with MonsterInsights. When you find something that doesn’t work, you just make changes and try again. Eventually you’ll get it. And there you have it! You now have some proven strategies for making the most out of Google Optimize. If you want to run an A/B test that involves 2 separate web pages to see which one converts the highest, be sure to check out how to easily create a redirect test using Google Optimize. And if you’re looking for exceptional ways to encourage people to convert, be sure to check out this cool guide on creating effective value propositions that are sure to get people to take action.